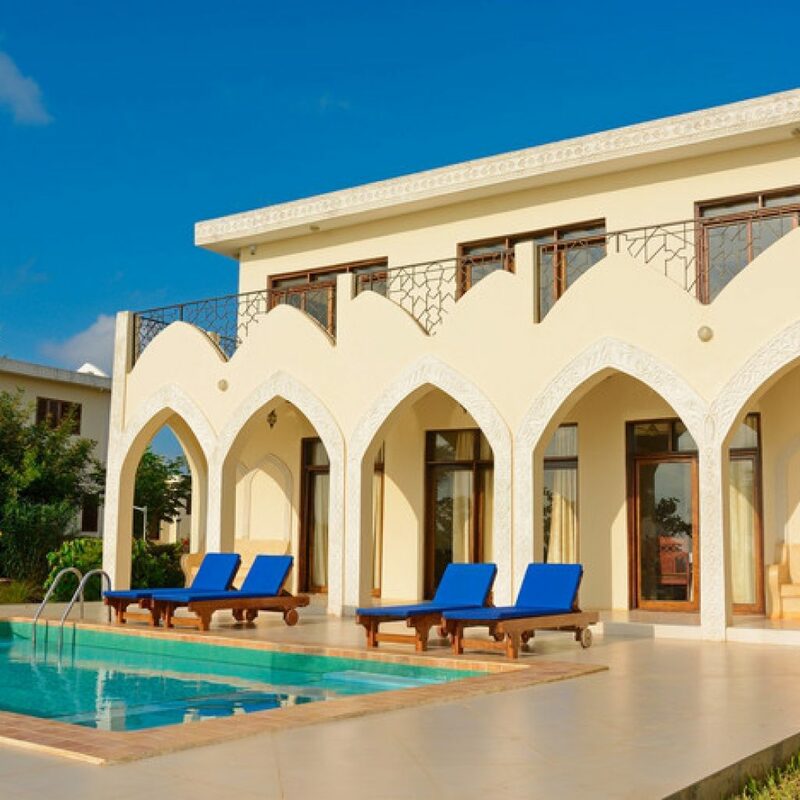 It is very trending to stay in a Beach House or a Villa in Zanzibar. Hence why we would like to take this opportunity to give you some recommendations. 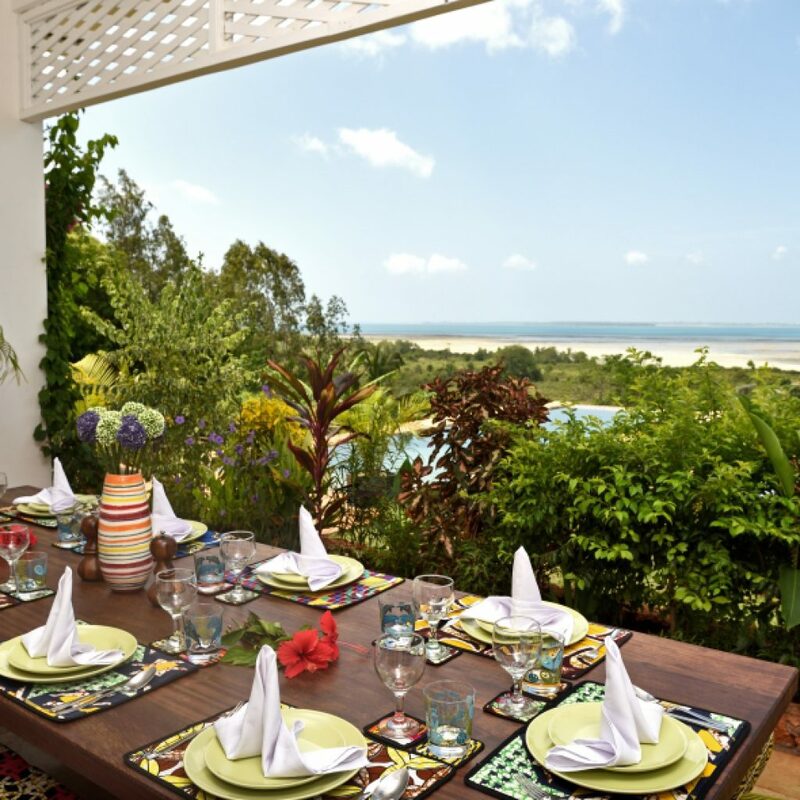 All of them are self catering or with chef bookable, which makes you independent. 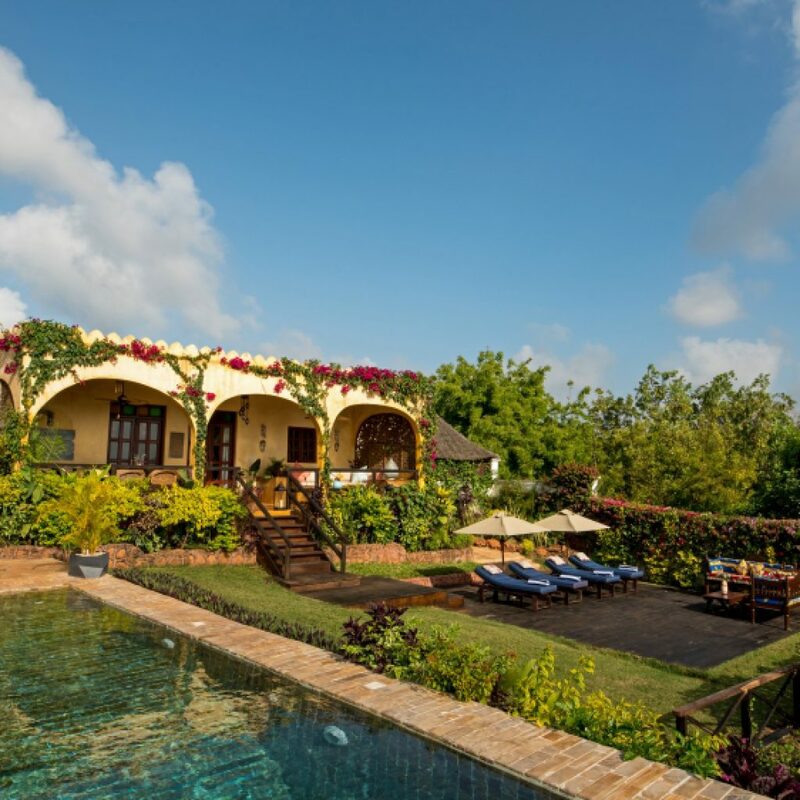 But moreover it gives you the feeling of privacy – “home away from home”. 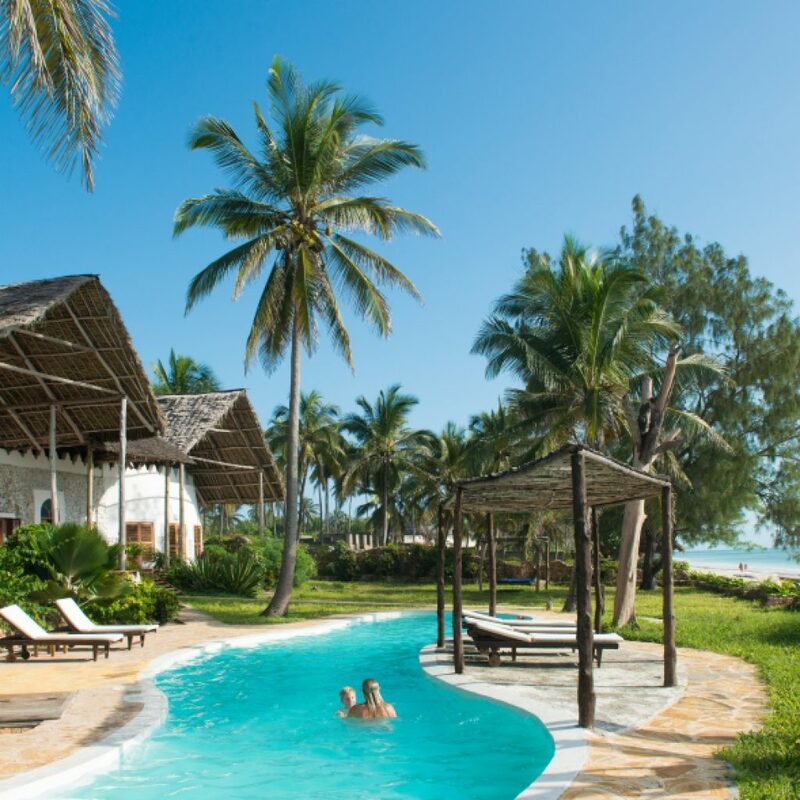 The entire east part of the island is protected by a beautiful reef along a kilometer long white sandy beach. 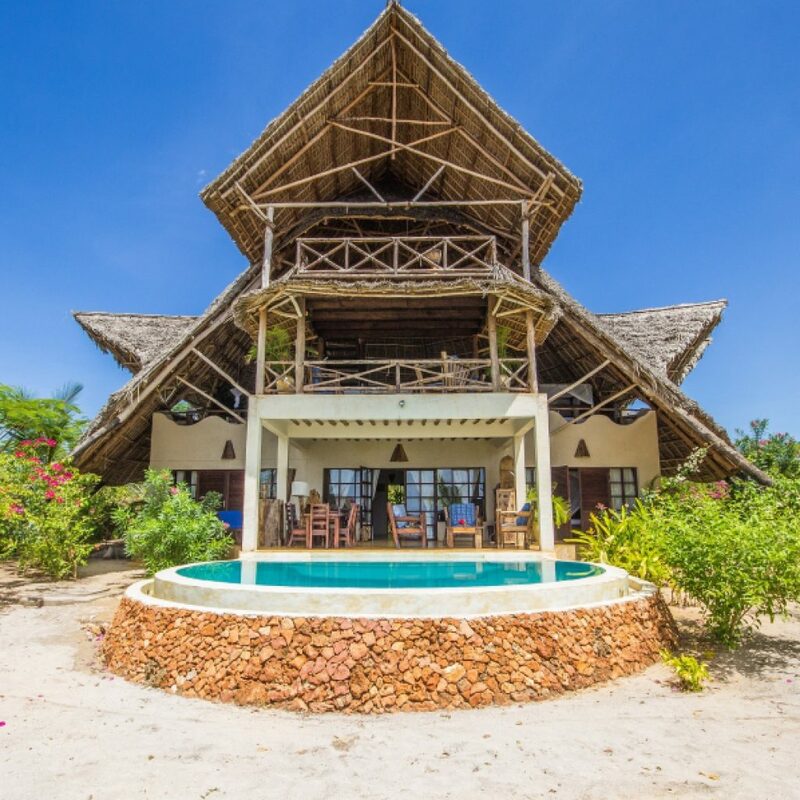 The Beach Houses in the North are not on the famous beaches of Nungwi or Kendwa located but further South on cliffs. 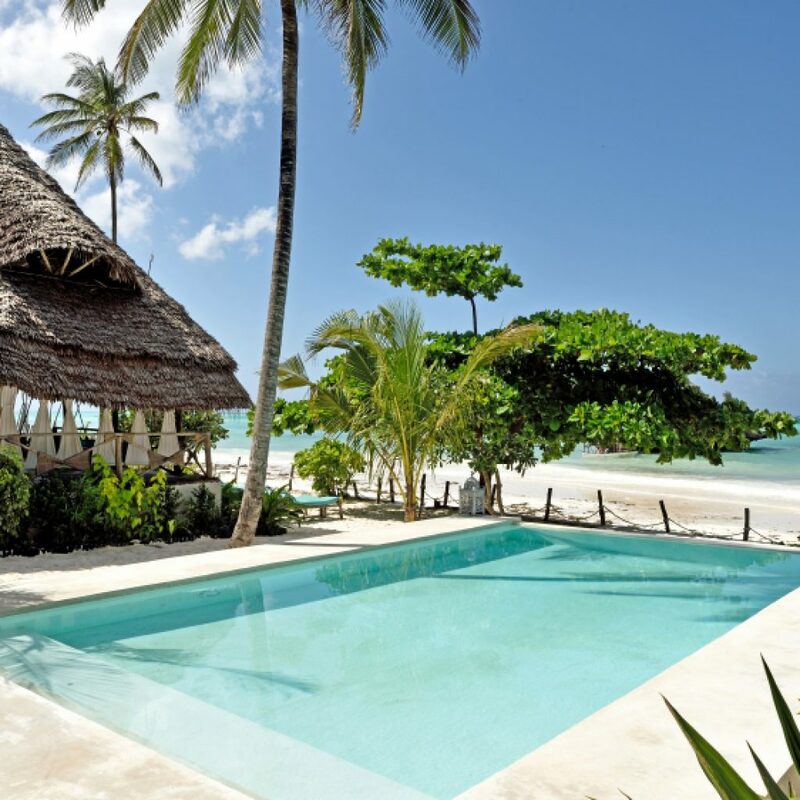 The entire east part of the island is protected by a beautiful reef along a kilometer long white sandy beach. 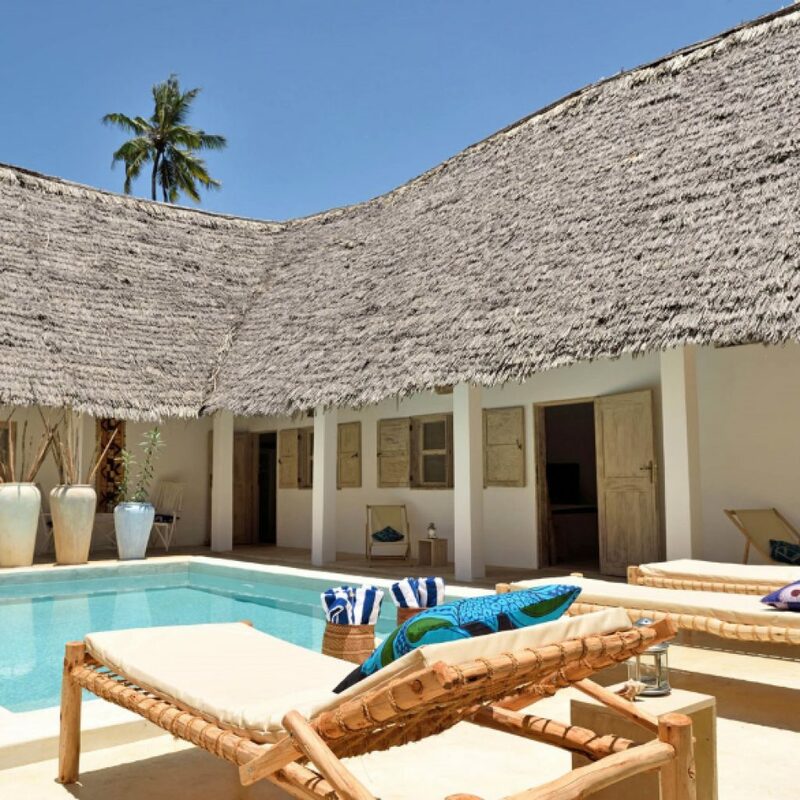 Most of the Beach Houses or Villas are in Matemwe located, as this area is a quieter area, while the bigger resorts are further south in Kiwengwa. The South of our little tropical island is not as much developed as the northern part of the Island. 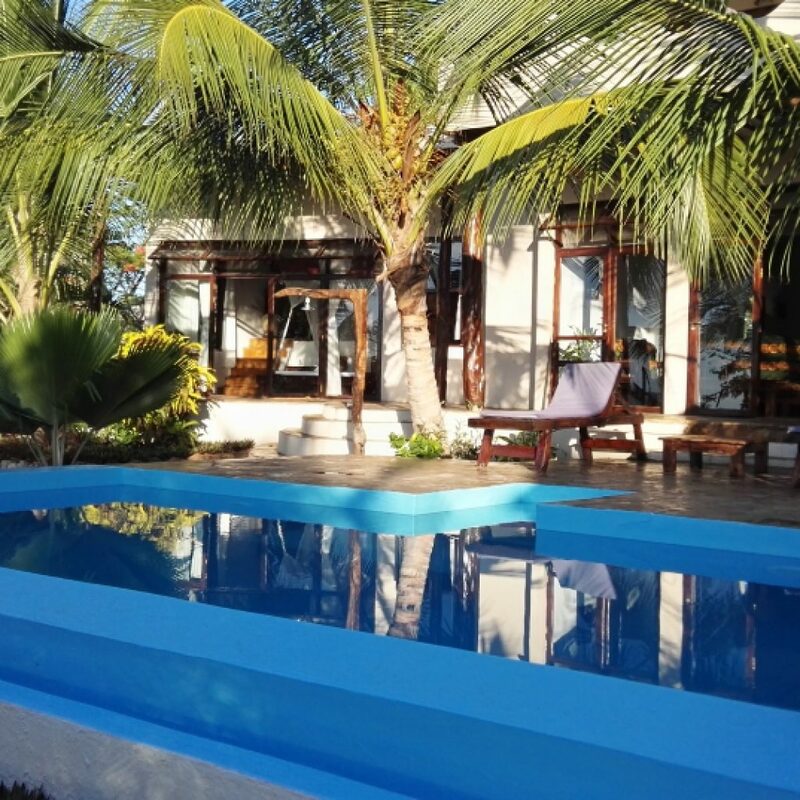 Generally the hotel properties are wider spread over this part of the island and even though you find a more lively part in the middle with all its kite surfers and nightlife, this is surely a place where you can unwind and relax in a laid back surrounding. Also here is the long white beach protected by our beautiful reef, which makes swimming in the Indian Ocean not at any time possible. 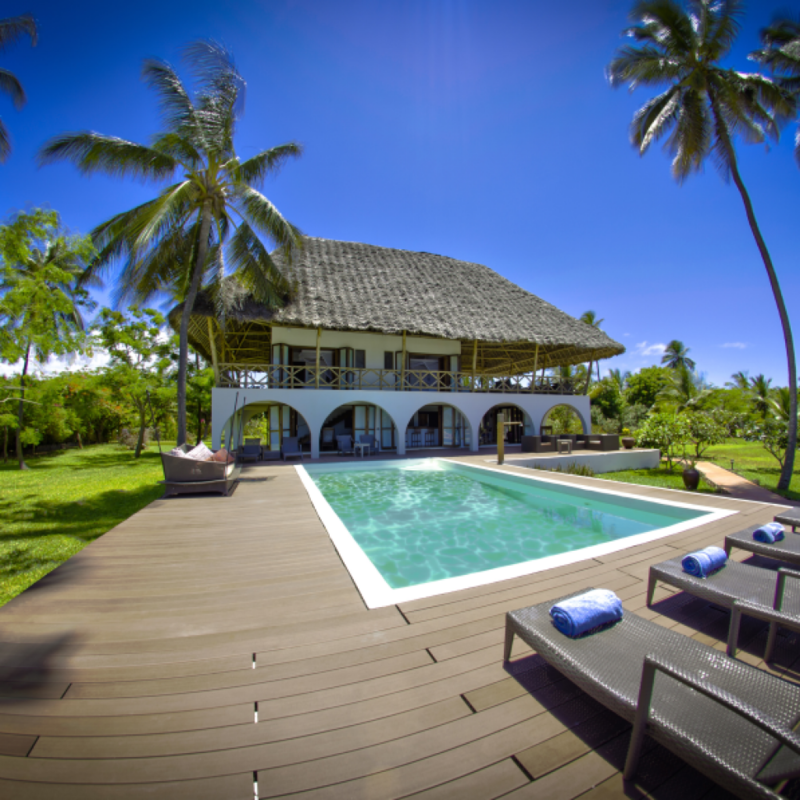 Moreover, in this part of the island you will find the most Beach Houses & Villas.